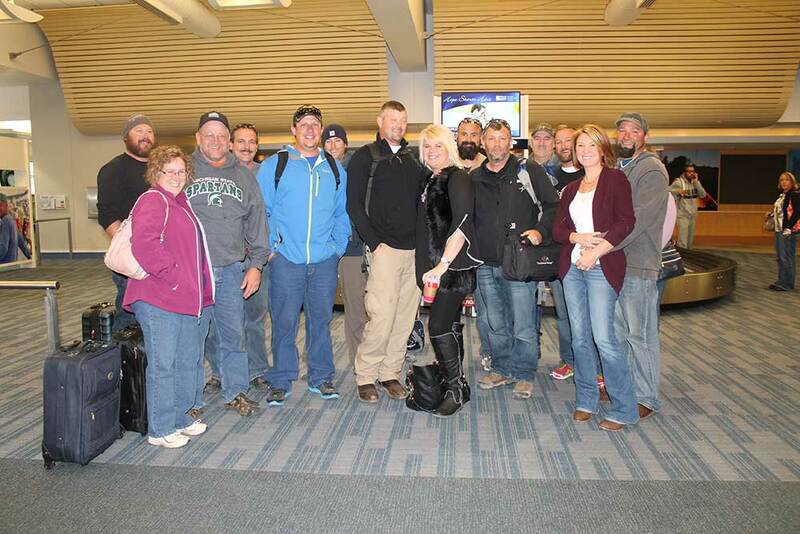 There was a general spirit of gratitude as our linemen reunited with their families at the Grand Rapids airport this evening — gratitude for a job well done, and gratitude for a safe return home. Bringing electricity to the people in Buena Vista required months of planning, collaboration, and fundraising, culminating with these two weeks of intense travel and field work. In the end, everyone involved would agree that it has been a worthwhile effort, and a tremendous success. Thank you to everyone who provided financial support to the project, as well as moral support to our team. We hope you’ve enjoyed being part of the journey. You can still order Partners For Power t-shirts and sweatshirts online for a very limited time. All proceeds help offset the cost of the Guatemala project. Welcome home guys!! I am thankful for your safe journey all around. I am looking forward to hearing your experiences. Welcome home, and thank you!! I am glad that you had this experience and am looking forward to hearing stories! !